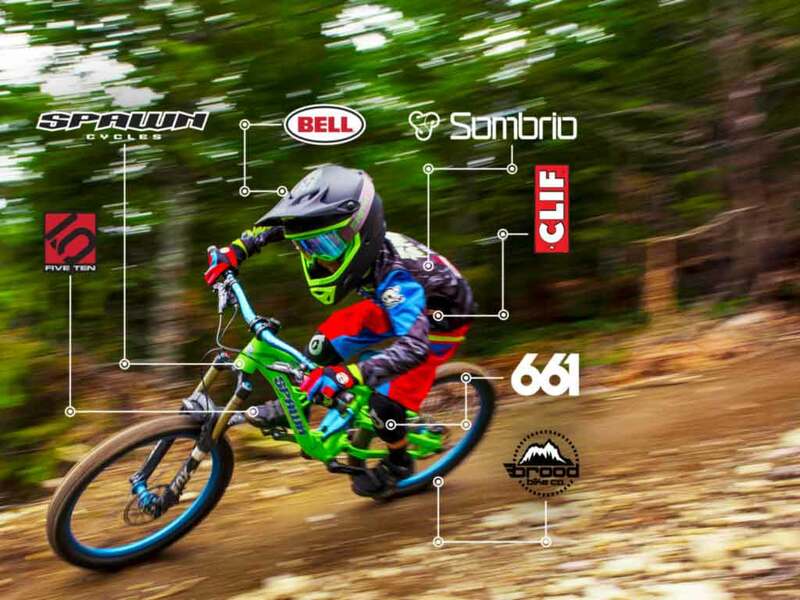 When Sombrio's Marketing Manager, Ashley Turk asked Spawn Cycles team rider, Dane Jewett about his favourite riders during a photoshoot early in the spring, Dane was quick to blurt out the nickname of GT Factory Racing's Brook Macdonald - the Bulldog. 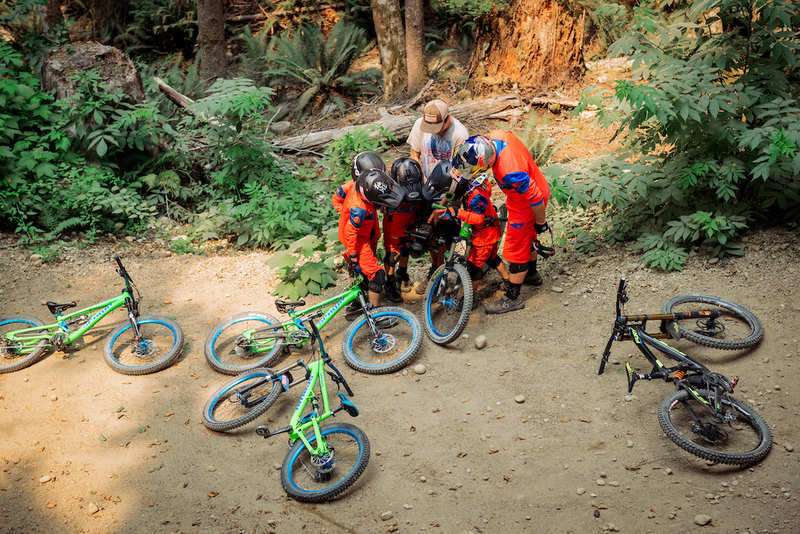 It got Ashley's wheels turning and later this summer she was able to arrange a little surprise for Dane and some of the other Spawn team riders during a trip to Coast Gravity Park in Sechelt, BC. 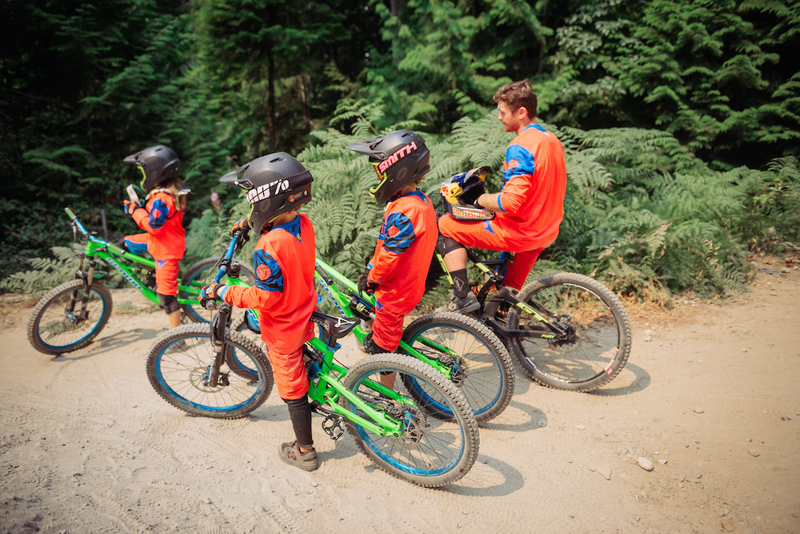 The groms were a couple laps deep when a slightly bigger guy showed up on the shuttle in the same kit. Despite flying halfway around the world and only getting a couple hours of sleep the night before, the Bulldog was ready to shred! 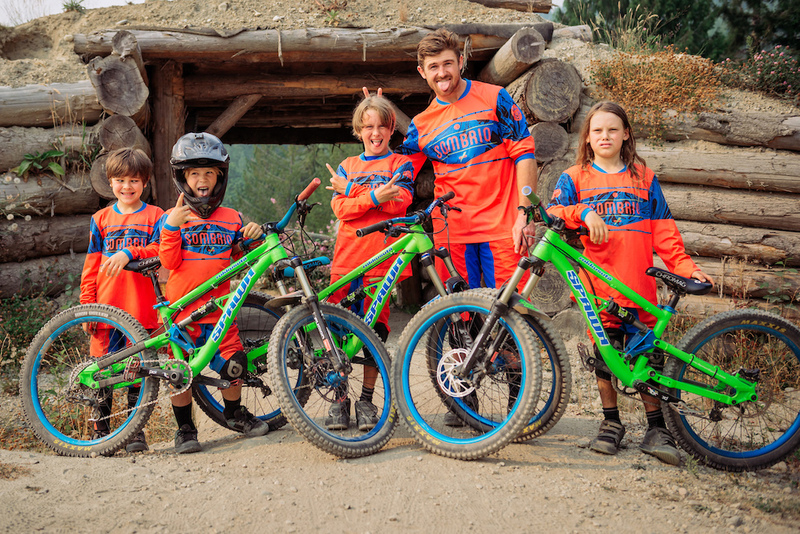 Even with a crew ranging from 8 years old up to a World Cup DH racer, picking trails at Coast Gravity didn’t seem like too much trouble. Spawn had already planned on having Scott Secco show up to shoot some footage at Coast Gravity, but having Brook there definitely amped up the excitement for the groms to get after it - who needs goggles on a dry, dusty August day? Between shots, there was a constant huddle around the camera to check out footage and see what needed adjusting on lines or tricks. 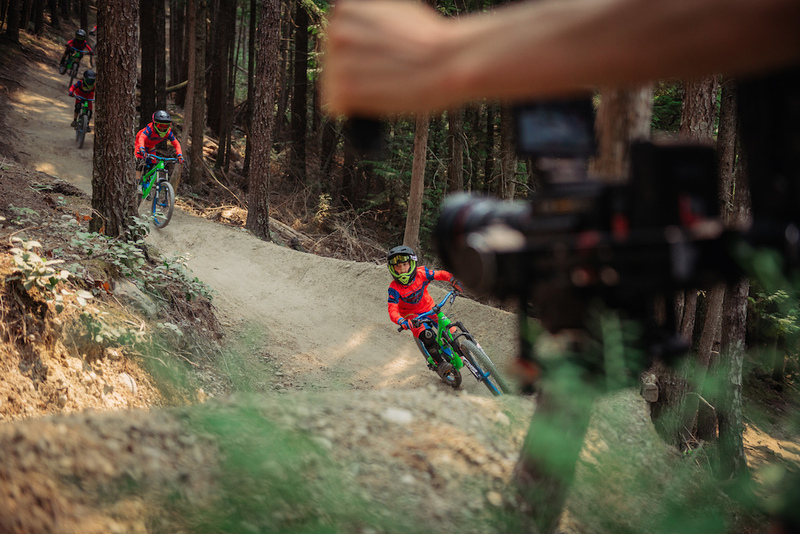 It also gave Brook a chance to catch his breath since he was pushing all the kids' bikes up the trails on steep terrain between shots. 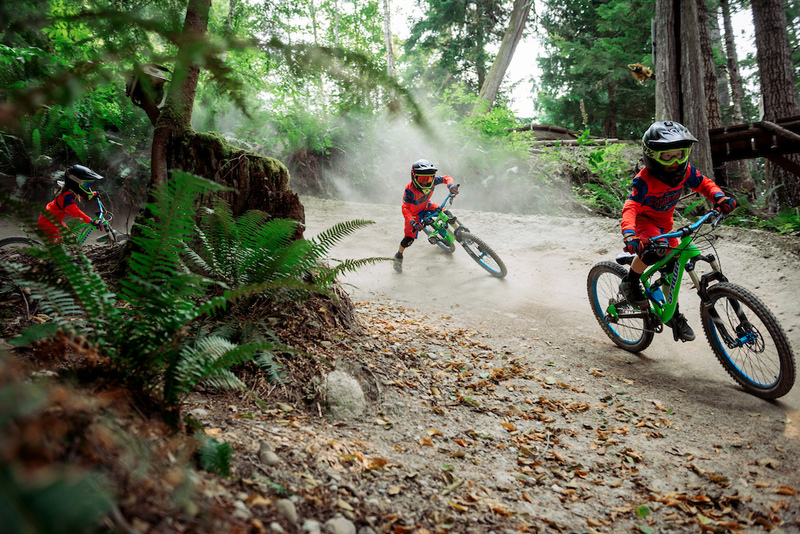 One of best things of the day was watching the groms pick up on Brook's riding style - foot out corners blowing dust through the berms quickly became a favourite! 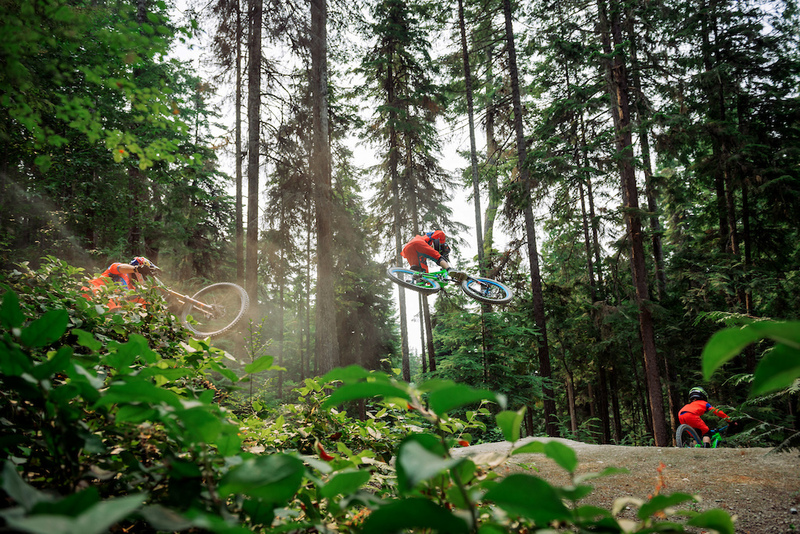 Boosting jumps with the Pinkbike Long Jump World Champion didn't hurt anyone's confidence in the air either. This was definitely one of the most fun days of the year for us! Huge thanks to Brook for taking the time to come shred! 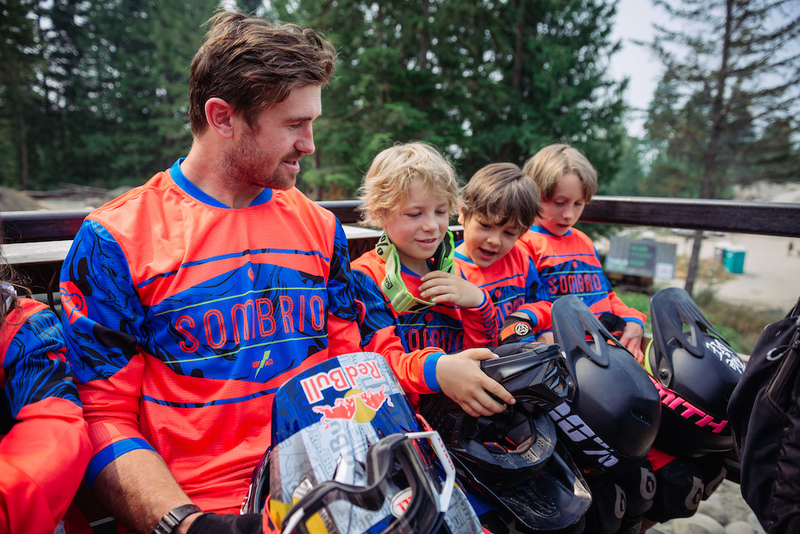 Shout out to the groms (left to right), Danny Zureski, Mateo Quist, Dane Jewett and Anthony Shelly as well as Scott Secco, Ashley and Travers from Sombrio and everyone at Coast Gravity Park for pulling together such an incredible experience!